Thank them for defending life! (Breakpoint) Forget what’s best for foster kids. According to the ACLU, all that matters is diversity. (Family Policy Alliance) A new and original study, authored by Woman Means Something, has been released showing that reported sexual offenses have risen significantly since Target changed their bathroom policy to be “gender inclusive”. (LifeNews) Phelim McAleer is a man with a mission. He also is a man of many hats: a veteran investigative journalist, a film producer, New York Times bestselling author and crowdfunder. 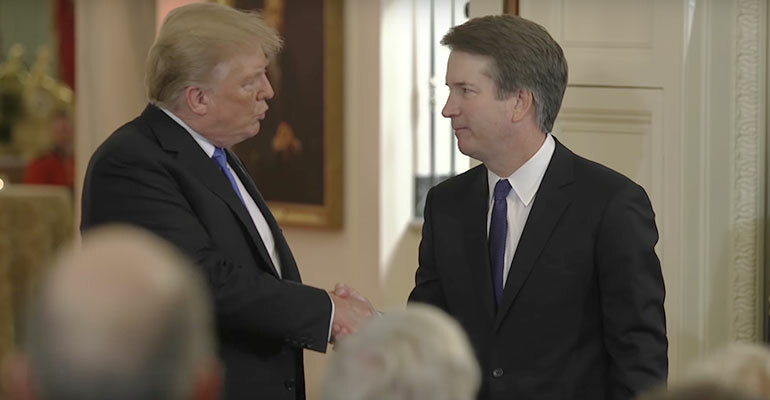 (LifeNews) The pro-abortion groups NARAL and Planned Parenthood are organizing a national protest to oppose President Donald Trump’s nominee to the U.S. Supreme Court. (Breakpoint) “Hey, don’t judge.” We hear those words a lot. But it takes real commitment to say them while staring at 130 thousand murder victims. (The Stand) Recently, President Trump instructed the Department of Health and Human Services (HHS) to issue proposed changes to regulations to the Title X family planning program. Planned Parenthood receives about $60 million in Title X taxpayer funds per year, and the rule change would terminate that funding. (OneNewsNow) Debate over a controversial California bill has been delayed but a conservative group is rallying the public to keep up the pressure. (Daily Signal) “What occurred today is a milestone,” Rep. Mike Kelly, R-Pa., said in a statement provided to The Daily Signal. (OneNewsNow) Yet another suspected killing spree by Fulani herdsmen in Nigeria has resulted in the deaths of as many as 200 Christians.